Show Connections: You can now visualize the connections to and from each artboard by toggling on the Show Connections option in the View menu or by using the X key as a shortcut. Include background when exporting: You now have the option to include the background when exporting layers or artboards. Change values for multiple layers: You can now scrub the X, Y, Height, and Width labels to change the value when multiple layers are selected. Adjustable Layers panel: You can now resize the Layers panel in both the main editor and motion editor to more easily handle long file names and deeply nested groups. Color discrepancies: The issue that caused colors to appear slightly different in Studio than in Document Viewer has been resolved. Performance issues on older machines: The GPU blacklist was updated to improve rendering and performance on older machines. Stability and performance: You should notice an improvement in general app stability and performance. Pixel grid problem: The issue that prevented the pixel grid from fully rendering has been resolved. Conflict alert: You will now receive an alert if there is a potential conflict when you try to save your file over someone else’s changes. Text layers displaying wrong font: You should no longer encounter the issue that caused text layers pasted from another window to display in the last used font until they were edited. Selection tool snapping to grid: The selection net no longer snaps to the pixel grid. Delayed changes to blending mode: Changes to a layer’s blending mode are now applied immediately rather than requiring the layer to be moved first. Blank canvas on new files: Files created on older versions of Studio will no longer open to a blank canvas. Layer flipping shortcut: Shift-H now flips a layer horizontally instead of vertically. Key field issue: Clicking away from the Keyboard interaction trigger without selecting Key Down now shows the Key field as expected. Improved path editing: You will notice a refined hit area during path editing at certain zoom levels for rotated objects. Opening files: When opening a file, we now display the last selected page. Values for X, Y, and Width properties: Using the arrow keys to increase or decrease percentage values on X, Y, and Width properties now increments and decrements by more expected values. Cursor performance: The cursor is now updating as expected after a path layer has been deleted. Masked layer resizing: You should no longer encounter the issue that prevented resizing of a masked layer from the Inspector panel. Custom sizes for preview window: The preview window now respects custom height values if you haven’t already set a custom width. Device types in preview window: The preview window also now updates the device type as expected if the height or width are revised. Device dimension in preview window: The preview window now retains the device dimensions after being closed. Unintended scrolling: Nudging a selected layer no longer causes the layers list to scroll. Unsupported fonts: You should see improved handling of unsupported fonts. Prototype limits: Users who go over their prototype limits now see the pink banner (at the top of the screen) that shows the remaining time in the grace period. Once the grace period is over, prototypes that are over the limit will show as locked. Select company in mobile app: A bug that prevented users from seeing the Select Company screen when signing in via Android app has been fixed. Console errors: A number errors displayed in the development console may have confused some users, so we have removed those error messages. Faster thumbnails: Our new thumbnail service ensures faster and more reliable image thumbnail generation. SVG thumbnails: You can now see thumbnails for SVG assets in Inspect. 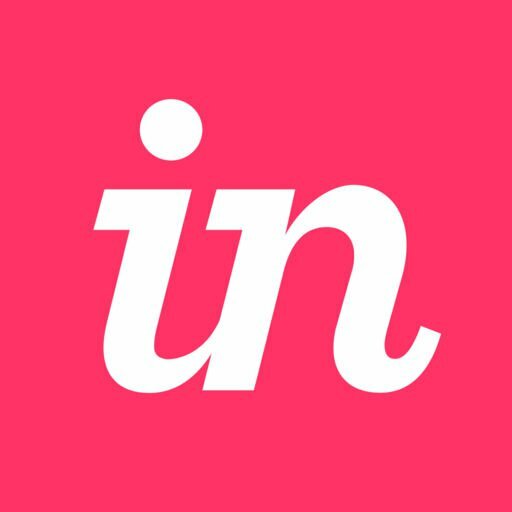 DSM navigation button: Because DSM is no longer in the Early Access phase, the DSM navigation button in InVision no longer includes "Early Access." Performance: A number of improvements to InVision make the product load faster. Enterprise team invites: Users added to the team under Enterprise account no longer receive emails for each prototype that belongs to the team. In-product messages: Users no longer see in-product outreach messages in prototype sharelinks. Scrolling in prototypes: Your window will scroll automatically if you drag the screen beyond the browser window. InVision for Confluence Server add-on: You will no longer run into the issue that prevented users from attaching multiple prototypes to a single Confluence page. Send Feedback: A new option in the Settings menu makes it easier to submit feedback to the InVision team. Should you need to report an issue with a Craft plugin, you also now have the option to send us log files, which will allow our Support advocates to assist you more quickly. Design System Manager (DSM): Our latest offering to streamline workflow for teams designing at scale, DSM is integrated into Sketch as a Craft plugin that builds upon and replaces Craft Library. The DSM plugin is now enabled by default when first installing Craft Manager. Craft Library is no longer enabled by default but remains available for users who have used it in the past. Editing Organization Names: You can now rename your DSM organization. Version 2.6: This version includes bug fixes and UX improvements. Freehand: With our new Freehand integration for iPhone and iPad, you can view existing Freehands and create new Freehands right from the app. Freehand lets you wireframe, sketch, or brainstorm with your team. Freehand for iOS also works with your Apple Pencil. Brand new app, version 1.0: The app is completely re-designed and re-architected for better performance and usability. Document list view: Easily navigate your prototypes—including Studio. Screens view for all prototypes: Easily search and select a screen, no matter how large the prototype. Overall performance improvements: The app now offers increased speed and reliability. Platform stability and security improvements: We made a number of general security fixes and GDPR compliance updates.